Do Job Ads on Social Media Discriminate by Age? | Page 4 | Challenger, Gray & Christmas, Inc. The onset of new recruitment technologies and ubiquitous online job boards has led most companies to post at least some of their positions online in order to cast the widest net. However, the recruitment strategy that includes posting job ads to social media may miss a huge swath of some of the most valuable talent - older professionals, according to one workplace authority. “With the advent and widespread adaption of social media, it is easier than ever for companies to share their opportunities with a wide audience, as well as target those opportunities to specific audiences. Whether on Facebook, LinkedIn, company websites, or online job boards, job postings are commonplace online,” said Andrew Challenger, Vice President of global outplacement and executive coaching firm Challenger, Gray & Christmas, Inc. Some companies may be using social media to directly target young, entry-level candidates for their positions. A recent lawsuit argues that the ability to target certain age groups for job advertisements on social media is discriminatory, according to an article from the Society of Human Resource Management (SHRM). Though the courts have yet to decide whether posting jobs to social media is discriminatory, Millennials and Gen Z likely have an easier time finding and applying for these jobs posted online than their older counterparts, due to having grown up with the Internet and social media. “In addition to the potential legal issues, companies that only target younger workers could be missing the perfect people for not only their open positions, but also for their specific cultures and environments. The experience and institutional knowledge older job seekers bring to a position - at any level - are extremely valuable,” said Challenger. Regardless of whether companies are targeting specific age groups, more companies are advertising positions on social media. According to a 2015 SHRM survey, 89 percent of companies post their job advertisements on social media. 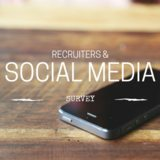 Meanwhile, according to a 2017 Challenger survey among 300 recruiters, nearly 80 percent of companies vet candidates through their social media profiles. Another 43 percent reported that having no social media presence hurts a candidate. “While it’s true as many as 70 percent of new positions come from the hidden job market and are attained through face-to-face networking, in order for job seekers to ensure they have access to the most opportunities, they need to have some sort of online presence. While some job ads could target specific subsets of people, having this presence will at least give job seekers a chance to see these opportunities,” he added. “There’s no excuse not to have any social media presence, especially one that only highlights professional achievements. Even if a job seeker doesn’t wish to use platforms like Twitter or Facebook to comment on or share posts, they can at the very least have a professional image and the job seeker’s previous title, company, or industry,” said Challenger. “Those who are uncomfortable with these platforms can take classes or network with colleagues or contacts who have experience on these sites. The data suggests those professionals who shun social media during their job searches miss out on not only connecting to recruiters and hiring authorities, but miss actual job opportunities,” he added. According to the 2017 Challenger survey, LinkedIn was the most important platform to recruiters. However, many recruiters start with a Google search and check all results. Signing up is generally very straightforward, and there are countless online tutorials that can guide the process. Include your general details, name, city, industry, and former roles. Follow other profiles that interest you, both professionally and personally, which will help recruiters get a fuller picture of who you are. Everyone knows that it is important to keep their resume updated, but it is also important to keep online career profiles updated as well. If your recent experience is not clear, recruiters might skip over you in favor of a candidate with a more complete profile. Not only do companies often list their job availability on their website, some also have social media accounts dedicated to informing potential employees about work culture and opportunities. Taking the time to follow these accounts can show that you are serious about your industry. While it is easy to type any opinion you may have and post it to social media, it is a best practice to always “think before you post.” Keep posts civil. Avoid vulgar language, posts about excessive drinking or drug use, and typos or grammar mistakes. Recruiters look at everything when they assess a candidate.